In order to get the most out of the job portal, you must accept cookies. In some browsers you might experience problems with accepting cookies - among others, in Microsoft's old browser, Internet Explorer, that is still used by some. It's recommended to use another browser than Internet Explorer when using the job portal. 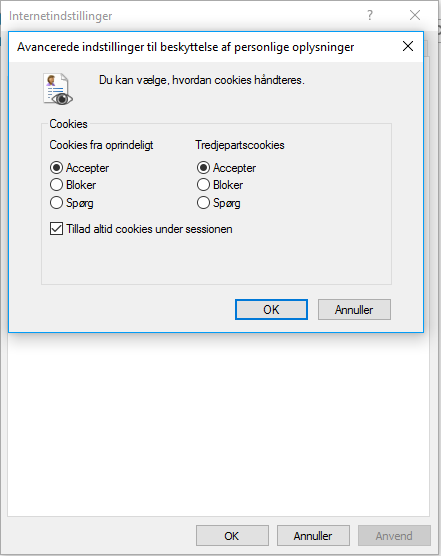 However, we've made this guide that shows how to accept cookies when using Internet Explorer as your browser. 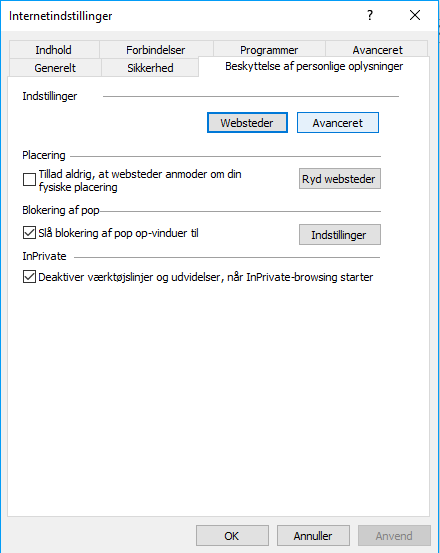 Go to browser settings, go to the tab 'Security and Privacy' and select 'Advanced settings'. Make sure the settings are as shown on the picture below. 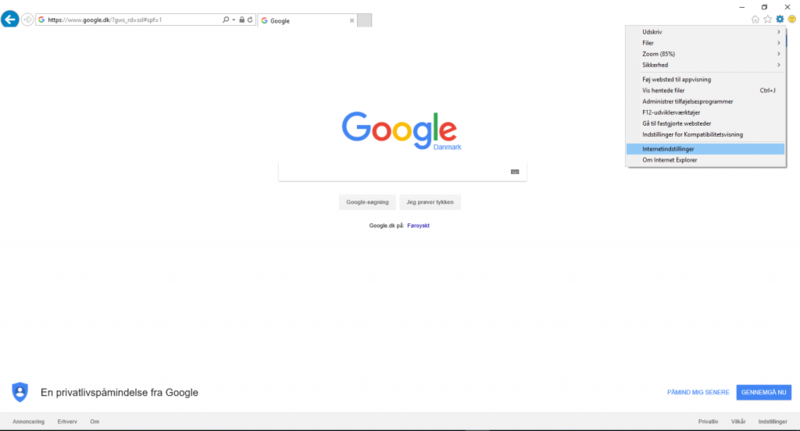 If you can't change the settings, we recommend that you use another browser - Google Chrome, for instance.